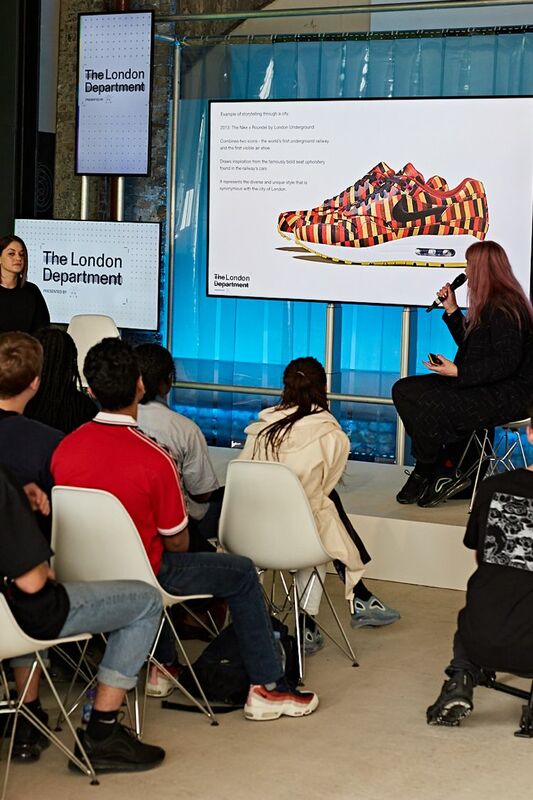 As part of the Nike: On Air series, some of Nike’s most influential designers hosted insightful Q&A sessions that were followed by workshops, hosted by Store Projects. 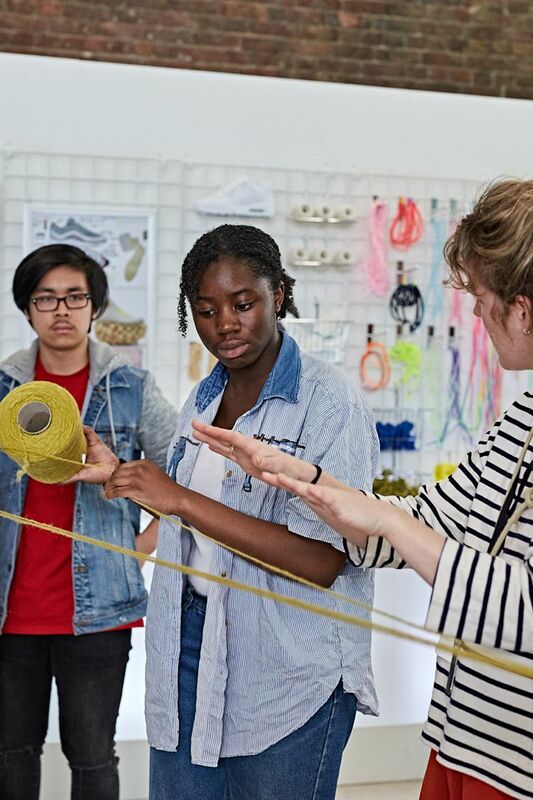 Design students from across the city were put through their paces as they created their own shoelaces—from concept to finished article. The key takeout of the day? Add a layer of storytelling to your design to really make it pop. 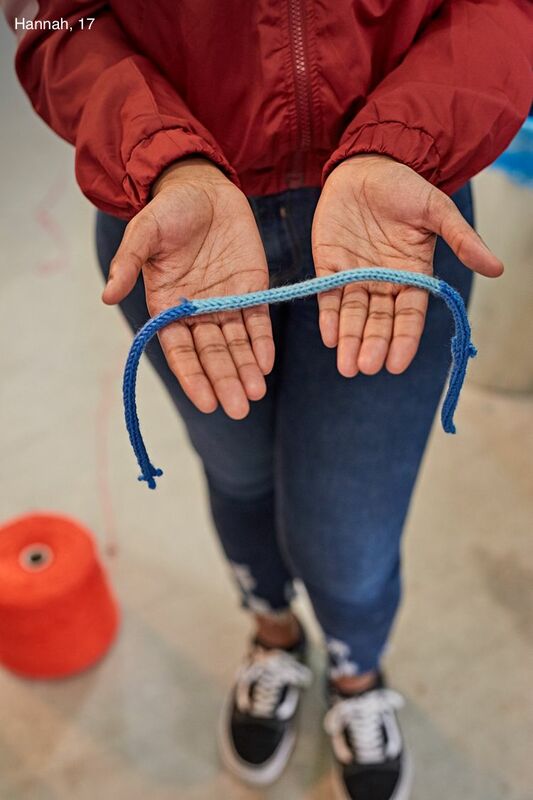 “At Nike, we bring product to life through storytelling. 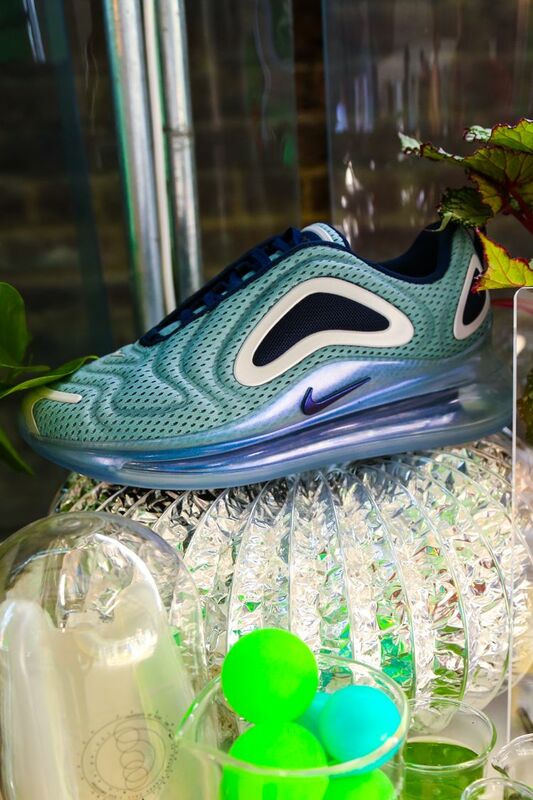 For example, the design of the 720 took inspiration from energy,” explained Jesi Small, Nike Senior Design Lead for Air Max. “More specifically, the organic radiating movement of energy in different natural wonders, like the Milky Way, eclipses and Northern Lights,” she continued. 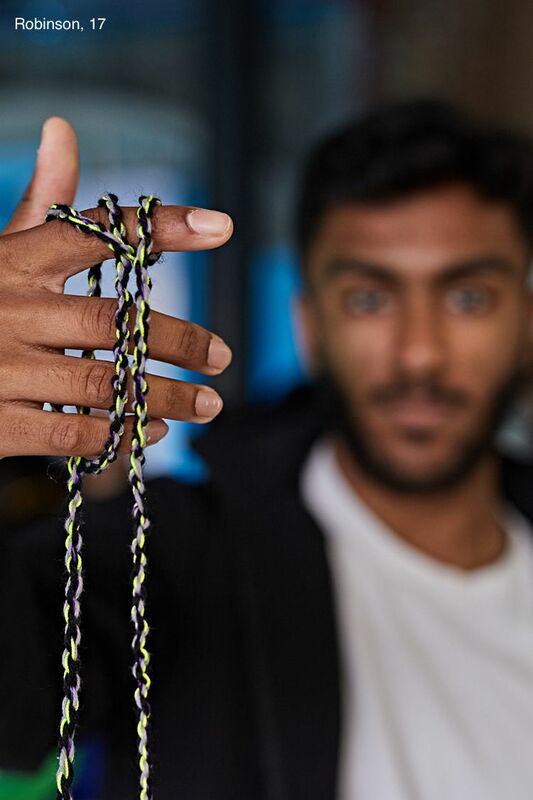 Armed with their storytelling brief, the students were shown how to: turn fibres into thread; knit and braid techniques different designs; create different gradients with dye; and finally, capping the finished laces with a heat gun. 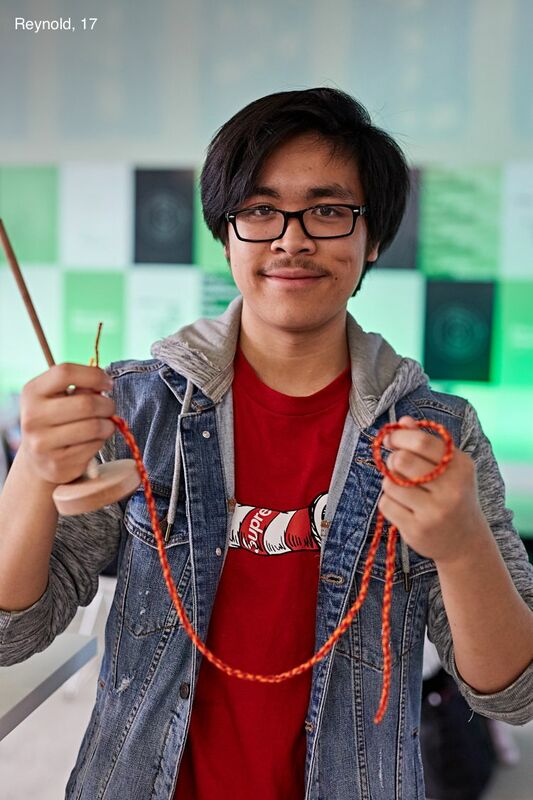 Inspiration for the 17-year-old students came from many places. For Hannah and Reynold it came from sunny skies and sunrises, respectively. 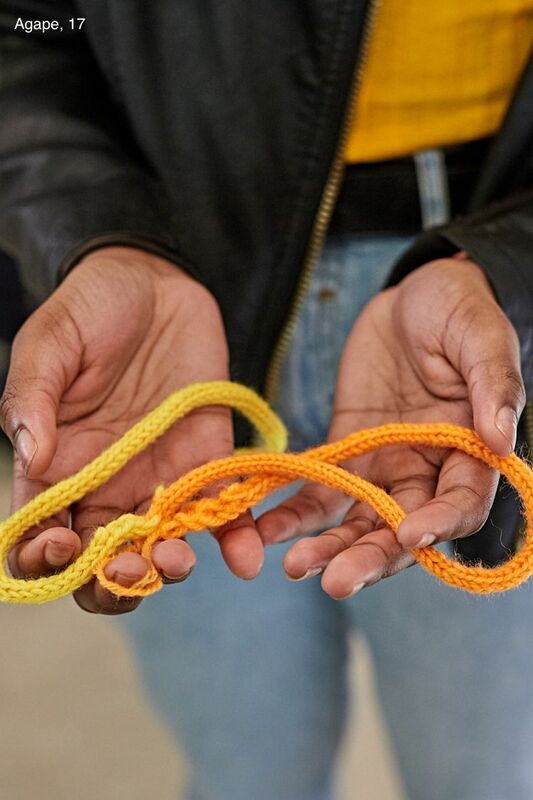 Robinson took his cues from his city at night with its dark skies and street lights, whereas Agape’s vibrant, multicultural neighbourhood led her use brighter colours. Others took their inspiration from things that were closer by—like Jay, who riffed off the Off-White Air Max 90s he was wearing.